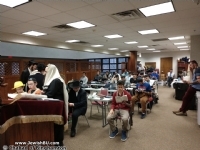 Hundreds of students study Torah each week at Chabad in scores of classes, one on one's, lunch'n'learn, Pizza and Parasha,Beit Midrash, Jlearn and JHS. Way to go! Some photos of the Spring 2018 Sinai Scholar educational classes, challah baking class & their trip to NY. The Spring 2018 cadre of Sinai Scholars ended the semester when they were inducted in the Sinai Scholar Society at their banquet. Scholars shared reflections and each received gifts and certificates. The great holiday of Lag B'omer was celebrated in style with a BBQ and then a kumsitz and bonfire. Good times! The girls were dressed to the nines; the guys quite dapper. There was a phenomenal menu, great company,a photo booth, plenty of laughs, clever paper plate awards, a video spoof, and some serious moments as well. The 2018 Formal was the perfect way to celebrate a great year of programming and community. GNO participants enjoyed a fabulous night of guided painting. Great music, Ice cream bar and lots of laughter made it truly memorable. Not to mention the masterpieces girls took home. A perennial favorite : it never gets old. Participants enjoyed mixing, kneading and shaping the best bread in the world! The Chocolate Seder featured delicious dinner and desserts all chocolate infused and even more delectable morsels of Torah thoughts and teachings connected to the Seder and the holiday of Pesach. 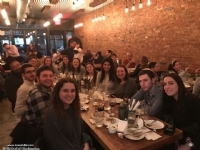 No one works harder than the Chabad Student E-board so they deserved all of the fun and bonding and the deeply meaningful experience they enjoyed on their trip to NY! 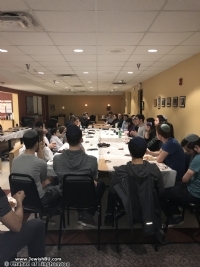 The group visited the Rebbe's Ohel, 770, Chabad- Lubavitch Headquarters, had dinner in one of NY's most celebrated kosher restaurants and won at Escape the Room. Woohoo! 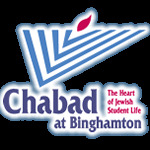 Shabbat 1800 surpassed all expectations with an a jam packed event center pulsating with spirit initiated by the Y-studs who gave an electrifying performance. The singing, dancing, lighting of shabbat candles, the hush that fell upon the assembled for kidush and the delicious multi-course meal and desserts made for an unforgettable evening. Plus: two newly married BU alums Todd Spiro '15 and Amanda Berman '15 celebrated their Sheva Brachot that night. Can it get any more perfect? A publicity stunt to publicize Shabbat 1800 brought home made chocolate chip cookies and hot apple cider to campus. On a freezing day, it warmed up the body and spirit of BU students and garnered hundreds of sign ups. Fashion for a Cure - brought to a whole new level! Fashion for a Cure featured incredibly moving and educational remarks by two great speakers, the dynamic sister duo: Wendy Kaplan Lager and Dana Kaplan Richter, a dance performance by IFD, songs by the Pegs, fabulous raffle prizes, outrageous desserts and a phenomenal " #Time's Up" themed fashion show. And to top it all off? 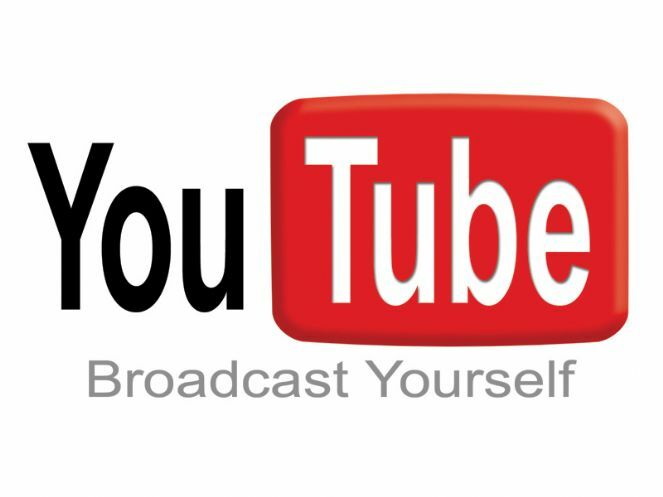 we raised $11,368.99 to send to Sharsheret! Binghamton students are THE best! There was wholesale fleeing from an impending storm but that did not stop the hardy souls who stayed from enjoying a Purim Feast with great food, music , dancing and The signature Chabad Purim spirit. The Megillah was read and read and read... on campus and off ... scores of times to accommodate any possible schedule! The Greatest Purim Carnival did not disappoint with awesome attractions, fun games, the Battle of the Bands, a costume competition, spaghetti and watermelon eating contests and delectable eats. Sick time! Making fresh Hamantashen for Purim- it never gets old. Always fun and delicious! Who knew there were so many nooks and crannies to explore at Chabad, fun activities and fascinating Torah facts to learn? BU students enjoyed a night of fun and games to benefit Chabad's outreach to victims of terror in Israel. 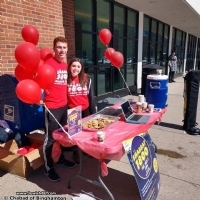 BU students set up kiosks across campus to give their peers an opportunity to do mitzvos on the spot. MItzvah Minute was the dream child of a student leader who wanted to share his knowledge of Judaism with others just like him. The ladies enjoyed a luxurious night of manicures, massages, healthy and delicious snacks and the wonderful sisterly bonding that is signature GNO.Happy Rosh Chodesh Adar when everyone feels like Queen Esther! The guys enjoyed a great night of sweaty fun, friendly competition and good old fashion male bonding.